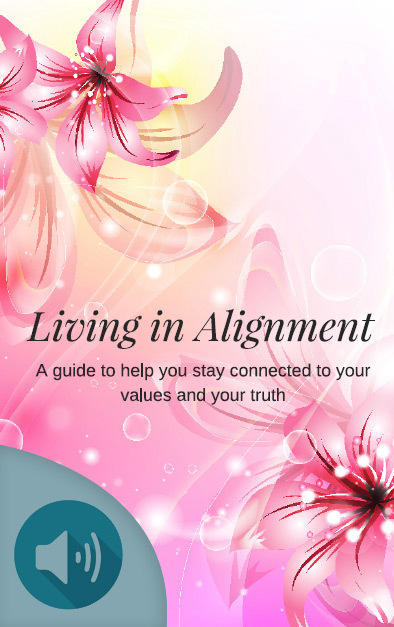 Purchase this eWorkbook together with the Coaching Recording and let me help you align and live connected to your core values and truth. Identifying your core values and owning your truth about your worthiness will change how you show up in your life. Once you work through the process in this eWorkbook, Living in Alignment with these core values will become easier to practice and not just profess. By listening to the recording while working through the eWorkbook, you will be able to move easier through the process and get little nuggets of insight and coaching not found in the workbook. If you absorb information easier through audio, this is ideal for you!